The Talent Acquisition Industry is constantly evolving and as Talent Acquisitionists we’re come across concepts like Competency Mapping (CM) & Succession Planning (SP) but what does it mean and how can it help at an organisational level? Are common questions that come up and getting a clear perspective when there’s so much information flowing around isn’t easy to resolve. The discussion above clearly outlines the meaning and the differences between the two i.e. Competency Mapping (CM) & Succession Planning (SP), how they are implemented by organisations, the processes involved and highlights guidelines that you should follow. Competencies are skills, behaviour and performance standards that turn what of an expectation into the how, we can use this to define organization culture. Competencies are expressed as behaviours that drive performance. They can be for either minimally expected levels or superior performance. Competency Mapping is a skill matched by individuals that formulate process whereby the KRAs, abilities & skills needed are put in place by the business & HR leaders to be followed by Employees thus leading towards meeting your organizational goals. Succession Planning identifies leadership potential and grooms those individuals for taking up more advanced and complex roles but with adequate coaching, mentoring and other OD initiatives. When focus is on high potential individuals you overlook great people, alienate and frustrate the rest of the employees impacting morale and turnover. Managers often seek people who are like them for mentoring and promotion which often leads to a plethora of white men leading organizations. The succession planning initiative should include steps that actively promote women and minorities for leadership opportunities, and train managers on how to encourage diversity on their teams. You can build a great talent development plan but without active support from leadership, it won’t have the desired impact. HR leaders can’t force executives to support their efforts but they can align talent management efforts with strategic plans and educate executives and managers about the business value of succession planning efforts. How does Succession Planning help in hands on Recruitment / Sourcing? With a clean and clear thought process; the process to pre-screen the candidates while sourcing broadens up the horizons automatically. Recruiters must know the fundamentals and target such companies that have equal cultures or from better cultured companies which are again only beneficial for the organisation. At times Recruiters need to let the Hiring Managers know about specific candidates that they know who seem the perfect fit as these individuals can be beneficial for the team and organisational front. Individual Recruiter’s should equip themselves with the necessary Selling & Marketing Skills that come in to play. How to identify what Talent your Hiring Managers want? In Succession Planning; the process where the CM & profiling is followed the hiring managers are clear on whom they want and do not want. They will be specific about certain high positives that a candidate should carry aside from their technical skills / experience. Clarity in what your Hiring Managers want highlights the culture of the organisation which is being put in place or is in place. How to select Talent for Critical Business Positions? When selecting Talent to fill Critical Business Positions be sure to run the Succession Planning, Competency Mapping and Profiling aspects. How does Succession Planning & Competency Mapping function? The internal employees are given the first preference who can take up such responsibilities. Selected individuals are then trained to handle complex business critical positions and responsibilities thus the Competency Mapping comes in to play. It helps in the alignment of all functions like selection, T&D, PMS, Career path and most important Succession Planning. Know what is required from the next role and find out where the person is presently is a great way to go about Succession Planning. Competency mapping require one to first understand what competencies are available under the roof and then build the entire system. Well this gives you a clear layout to the aspects discussed so if you’ve read this far then you’ve found this information very useful as the aspects discussed deal with how things function on a practical basis. This is a rare opportunity that you’re missing out on since you’re not part of these enlightening discussions. Therefore be sure to follow us @SourcingAdda and join us in these discussions. International Recruitment has always been a part of the Talent Acquisition Industry so I’m sure that most of us will be familiar with the process especially since we’ve gone through it at some point of time. When it comes to US Staffing or UK Staffing we’ve encountered that as well while going up the Career Ladder. But what are we supposed to do when we’re doing Asian hiring i.e. seeking Talent to fill China position and are looking for Shanghai Talent? How does the International positions to be filled function? Companies across the world are cost conscious and ensure that the local talent isn’t deprived. Requiring a good enough justification about the relocation & the premium being paid. Clients are clear about what they want i.e. the best in the preferred field with a willingness to hire Talent from India, Malaysia, Taiwan or China if required. Since you’ve read up till here did you find this information enlightening? If yes, then why be a reader instead join us and add to your knowledge by following us @SourcingAdda to receive real time updates and be an active participant. I’m sure you’ve got something more to add so do leave your views in the comments section. 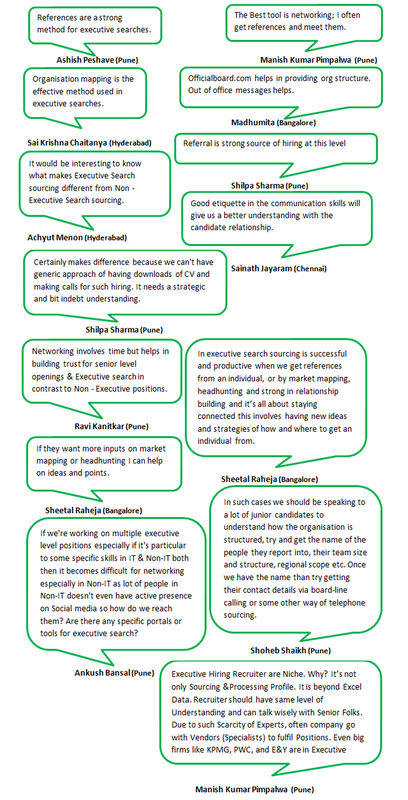 Sourcing for Talent to fill high profiles is usually done with Executive Search Sourcing. 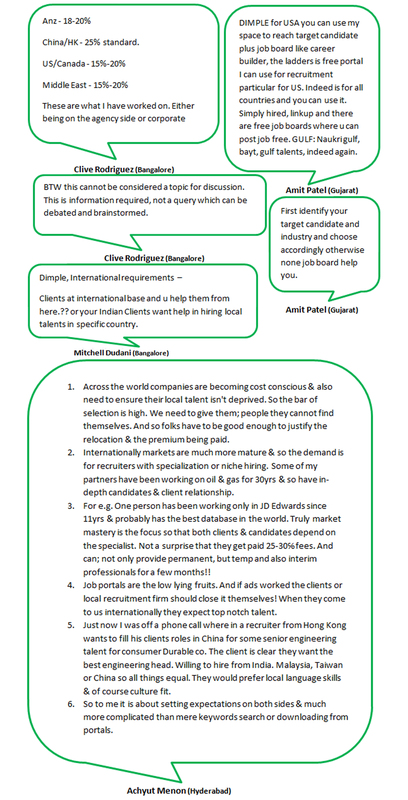 A process similar to the Head-Hunting technique; wherein candidates are sourced & screened based on some criteria. Executive Search Sourcing is generally done by Executive Search firms that specialise in it. Informing messages such as “Out of office” goes a long way when dealing with High Profile Talent Hunt. Good etiquette in communication skills simplifies the task as it enables you to better understand the Candidate relationship. It involves having new ideas and strategies to Source Talent and requires one to be strong in relationship building. Need to have some level of understanding and develop professional etiquette as well as communication skills when interacting with Senior Folks. Find out the team size and structure, regional scope etc. 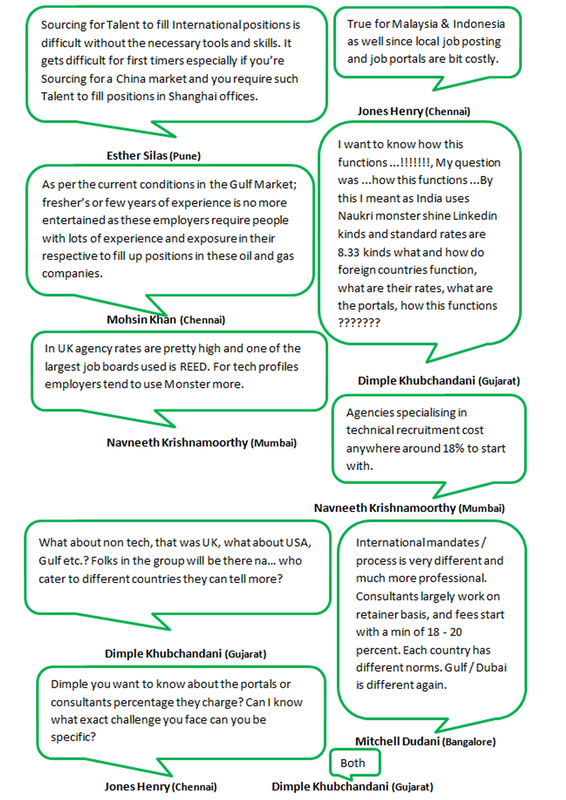 Well this brings the interesting and informative discussion to and end with lots of take a ways to help you meet your Talent Sourcing needs whether you are new to this concept or simply looking for more information about it. I trust you find the information useful and to your satisfaction. If you’d like to learn more about it; then be sure to follow us @SourcingAdda to gain real time updates to our upcoming events and activities. There has been a long standing debate about Talent Acquisition and Recruitment and the relation between the two. Based on this development it’s obvious that we’d like to know more about it hence the question what is the difference between Talent Acquisition and Recruitment? Talent Acquisition, Recruitment, Human Resource & Personnel Management share the commonality of simply being repackaging to match up to the current Global Business environment standard. Talent Acquisition is strategic planning, identifying, and sourcing at high level for futuristic hiring plans in collaboration with the Business. Talent Acquisition is attracting, engaging and on – boarding the right talent for the right roles and the real Talent advisor. Talent Acquisition is on – going strategy to find specialist, leader or future executive for the company. Talent Acquisition is the umbrella with more focus on skill matrix such as preparing database analysis of the exact recruitment market. Talent Acquisition is about effectively utilising Candidate and their skills to fill similar positions in future when required. Talent Acquisition is a mix of Art and Science which is about measurement of the two. Talent Acquisition is an on – going process which includes communication of value proposition, employer branding and on – going relationship with creating chains of Talent. Recruitment is one function of Talent acquisition and is entirely a tactical event with more focus on the current scenario. Recruitment is the Implementation of strategies of acquiring talent which is more linear in process. To some up Talent Acquisition, Recruitment, Human Resource & Personnel Management all different terms share the commonality of repackaging to meet the changes to the Global Business environment standard. Talent Acquisition means acquiring Talent and is more to do with a Business’ growth and is related to these aspects while Recruitment is one function / part of / a subset of Talent Acquisition as a whole. If you’d like to be part of these discussions then be sure to follow us @SourcingAdda to get real time updates to our upcoming event and activities. If you’ve got some points to add then do leave them in the comments section.